Thinking of using Google Ads to market your product online? This doesn’t just apply to online retail – the online consumers’ journey is comprised of very quick and crucial stages called micro-moments, all of which lead up to online sales, in-store visits, brand awareness, price comparisons and more. 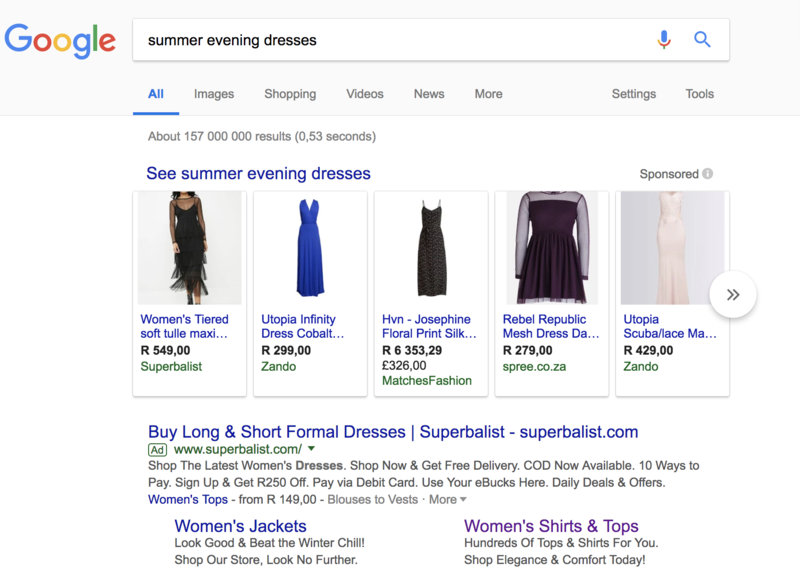 Google Ads allows you to tailor campaigns around specific goals, interests & search queries, capturing consumers in “want to know”, “want to go”, “want to buy” and “want to do” moments. Google Ads allows you to track user behavior, consumer demographics, search terms, consumer locations and more – letting you tailor incredibly relevant marketing campaigns to a new audience, and to people who have already shown interest in your brand/product. Its advanced reporting tools show data trends and opportunities in audiences that may have previously been overlooked. This constant access to relevant consumer data can also be used to help optimise your overall marketing strategy. Google Ads lets you set a specific monthly, cost per click and cost per acquisition budget, which can be adjusted at any time. You also have access to a plethora of metrics to help you assess the performance and return on investment of your Google Ads campaigns. When it comes to budget adjustments, you have the ability to change ad spend immediately to favour campaigns that are performing better than others, while utilising consumer data to optimise lesser performing campaigns, ensuring you serve the most relevant ads to your audience, while getting the most out of any budget. Ever visit a site and notice its ads seem to follow you? You start seeing those ads in blogs you read, when you stream a video on Youtube, and even when you’re browsing shoes online – That’s probably Google Ads. Google Ads allows you to display our ads across a multitude of networks and site partners, letting you not only target search terms, but to advertise to people while they actively search for a topic relating to you across multiple online platforms. With Google Ads, your ad will appear above the natural search results on page 1 of Google, so you’re essentially buying a spot on page one of Google while you build your organic rankings. Google Ads displays its most relevant ads above its natural search results, this doesn’t mean that you can slack on your SEO, it just gives you the opportunity to be seen above your competitors while you develop your SEO. Organic traffic through natural rankings is still your highest returning avenue, but AdWords helps give your site a boost, and once you notice you’re achieving the results you want through organic traffic, you can adjust your Google Ads budget to favour other marketing avenues or areas of your business. Notice how I have been served two ads in this image before I scroll below the fold for an organic result. It’s all about making sure your advertising is high-quality and relevant, and by integrating Google Ads into your online marketing campaign, you’re able to capture an audience, convert them into customers and retain their attention through a plethora of amazing, and interactive Google Ads features.